Here’s an in-depth look at each of the 8 traits that makes StandStand the perfect portable standing desk! 1. Portable. StandStand (patent pending) is the only truly portable standing desk: there’s nothing like it on the market. It collapses to the size of a laptop and fits easily into your bag or backpack, allowing you to take it anywhere. Dowels hold the three panels together when stacked, so they become a unified object that won’t get lost in your bag. 2. Affordable. 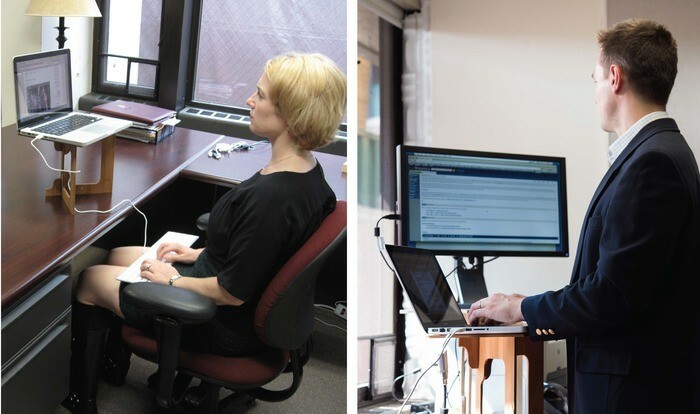 At $69, StandStand costs a fraction of most standing desk options, even as it does a lot more. Check out Trevor’s article at notsitting.com to see a comparison of our less portable competitors that range between $250 and $550. 3. Easy to use. StandStand consists of three wooden pieces that slide together and lock into place. I’ve handed it to people who say, “I’m no good at this sort of thing,” but even with no instructions, they can often figure out how it works. 4. Stable. StandStand provides a sturdy working surface. Wood can flex like a bow if you twist it–that’s part of what protects StandStand from breaking. But the solid wood construction means your computer won’t bounce as with other laptop stands. StandStand is hard to tip over too. Whenever your computer is sitting on the top platform, its weight is centered somewhere within the large stable trapezoid formed by the base. 5. Engineered for strength. 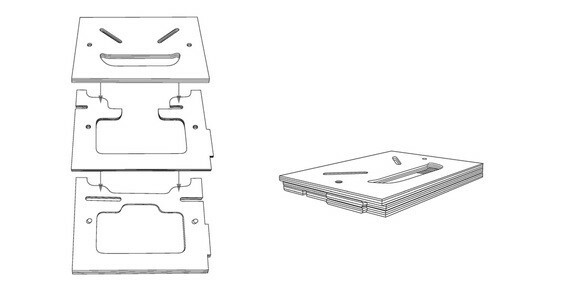 StandStand weighs less than two pounds and each panel is only 3/8” thick. You’re probably thinking that something that weighs less than 5 bananas couldn’t possibly support a few NFL linemen or a young elephant, right? Well, check out the GIF above and the video below to see how I stacked over 900 pounds onto StandStand, and it didn’t even break! (I’ll ask the gym to buy more weights for another stress test in the future, but until then we’d love to hear your guess on how much StandStand can hold.) Then watch the video to see a torque test, where I push StandStand as hard as I can. It can flex about 10 degrees before finally breaking under the stack of weights! What makes StandStand so strong? Glad you asked! I started with an especially strong Baltic birch plywood that has seven layers glued together to coordinate the strength of the fibers. During the design process, I experimented with ancient woodworking techniques like halved joints and mortise-and-tenon joints to assemble the stand. These methods are so old that they have been found in ships buried in the pyramids by the ancient Egyptians, and even earlier in pre-historic wooden wells thought to be between 4,000 and 5,000 years old! While StandStand’s joinery is tried and true, it’s how these ancient joints are combined that makes StandStand unique. When the panels are locked together to harness the engineering magic of triangles, you have a product that is capable of supporting over 500 times its own weight. Incredible! 6. Ergonomic. StandStand gives you the freedom to stand anytime you use a laptop. By ordering the right height, you can also keep your elbows near the optimal ninety degrees that experts recommend. However, laptops have an inherent ergonomic flaw: the screen is next to the keyboard, so you always have to look down. StandStand can help in two ways. With a detached keyboard, you can use StandStand to elevate the screen to eye level whenever you sit to type. You can also order a tall StandStand to use with a detached monitor whenever you stand. 7. Sustainably made in the USA. 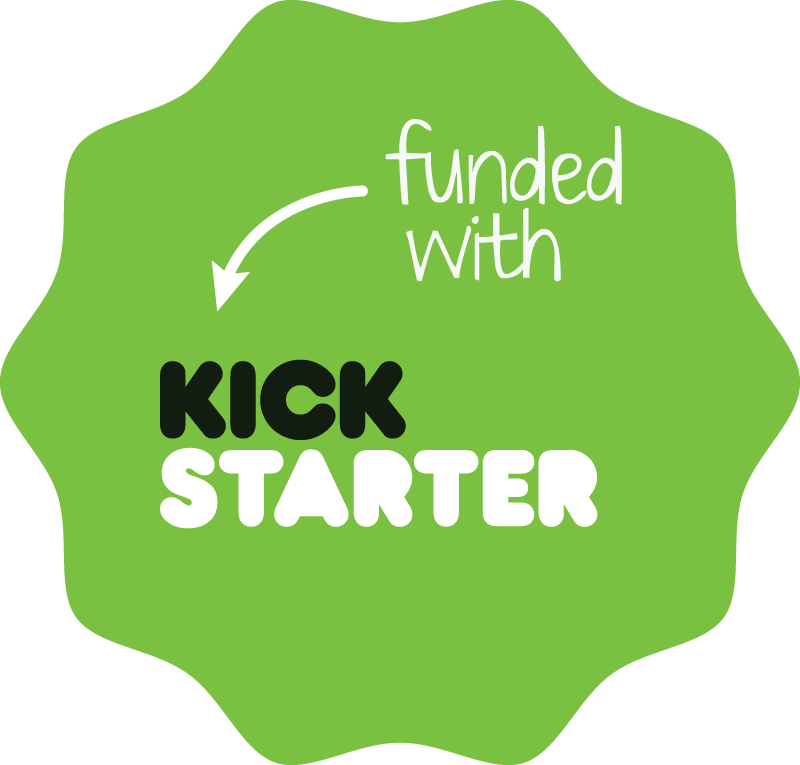 It gives me great satisfaction to know that StandStand will be manufactured in the United States using sustainable materials. Paul, my football and mock trial teammate from high school, now runs Rob’s Custom Cabinetry in my hometown of Superior, Wisconsin. Paul’s dad, Rob, gave me a good job in the shop for two summers during college, allowing me to learn basic woodworking skills and shop safety. By teaming up with Rob’s, every Stand Stand will help provide work for the people who live where I grew up. 8. Healthier than sitting. We’ve only got one life to live, so why live it sitting, when sitting is only shortening our lives? StandStand gets you on your feet and working in a healthier way, from wherever you want. That’s something to get excited about! These are the top 8 features that we had in mind when designing StandStand. What else do you love about your StandStand? Let us know in the comments below!